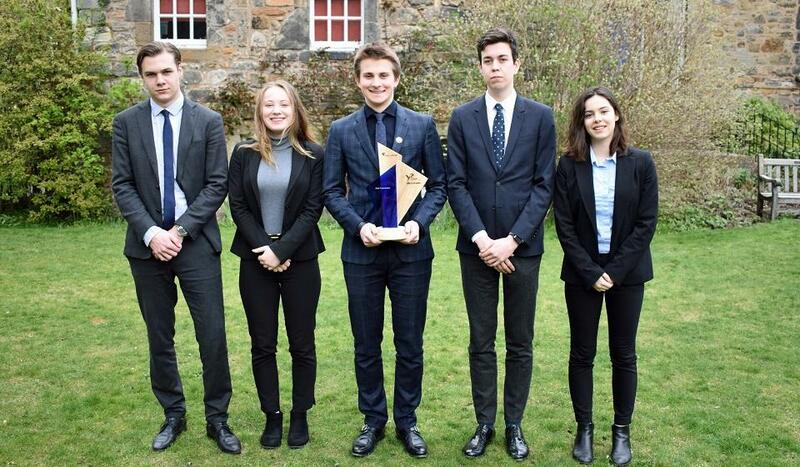 Two of St Leonards’ Year 12 Young Enterprise companies, ‘Splash’ and ‘Vestimento’, travelled to Fife College in Kirkcaldy for the Young Enterprise Fife Regional Finals. Both groups performed incredibly well, presenting their products, marketing plans and ideas. Congratulations to ‘Splash’, which was awarded ‘Best Presentation’ on the night. The trophy was presented to members during school assembly, which enabled everyone to celebrate their success!